Born in Mississauga, Ontario, Victor Daoyuan Cheng is a conductor and baritone based in Toronto. He is the founding artistic director of the Mississauga Summer Chorale, a choral organization with over 100 members between two choirs. Highlights of the MSC include recently performing the Fauré Requiem, and the performance of a newly commissioned work from emerging composer Benjamin Gabbay in 2018. Victor is also the founding artistic director of Toronto Voice Lab, a small ensemble dedicated to performing contemporary choral music, especially those written by students at the University of Toronto. Since its founding in 2016, TVL has premiered 5 new works in close collaboration with their composers. Victor has been chosen as an Intern Conductor with 2018 Ontario Youth Choir, mentored by Jon Washburn. Previously, Victor has been the apprentice conductor of the Voices Chamber Choir and has participated in summer workshops and masterclasses in North America with renowned conductors such as Simon Carrington, Lydia Adams, Donald Nally, James Jordan, Caron Daley, and Marta McCarthy. Victor is also an accomplished choral singer, currently singing in professional ensembles at the Toronto Oratory, St. Vincent de Paul Catholic Church, and St. Basil’s Catholic Parish, as well as the Toronto Festival Singers, and in the Elmer Iseler Singers as the James. T Chestnutt Scholar in voice and conducting. He has previously sung with the Toronto Mendelssohn Choir, Ontario Youth Choir, and Incontra Vocal Ensemble. Beyond the classical world, Victor has shared the stage with many distinguished performers, including Cirque du Soleil and the Rolling Stones. Nelson was born in Lunenburg, Nova Scotia. Organist and music director at St. James The Apostle, Brampton. Occasional teacher for the Dufferin Peel Roman Catholic School Board and Peel Board of Education. Grade 10 Silver Medal and A.R.C.T. Gold Medal from the Royal Conservatory of Music. Music Associate and Music Licentiate Diplomas from the Western Board of Music. Solo work during career has included opera, musical and choral societies in England, the United States and Canada. Recent solo work was in August at Niagara on the Lake International Festival singing several Spanish Tango pieces with chamber quartet. Nelson will soon be recording a new solo CD, including “Song for the Mira”. Doug MacNaughton began his singing career at the age of 20, when he made his operatic debut with Edmonton Opera. Since then, he has gone on to sing throughout Canada, the United States and Europe. He is at home in opera, operetta, musical theatre and concert work, and he is known as much for the versatility of his acting as for his singing. he studied under Dr. Bruce More, Alexandra Browning, and Susan Young. Graham was a featured performer for the University of Victoria Chorus and Chamber Singers, and the Victoria Chamber Orchestra In addition to his role as a soloist, Graham has managed a vocal studio and provided vocal coaching to the Cantiamo Youth Choir. After spending time in Cuba and Japan, he now resides in Toronto. 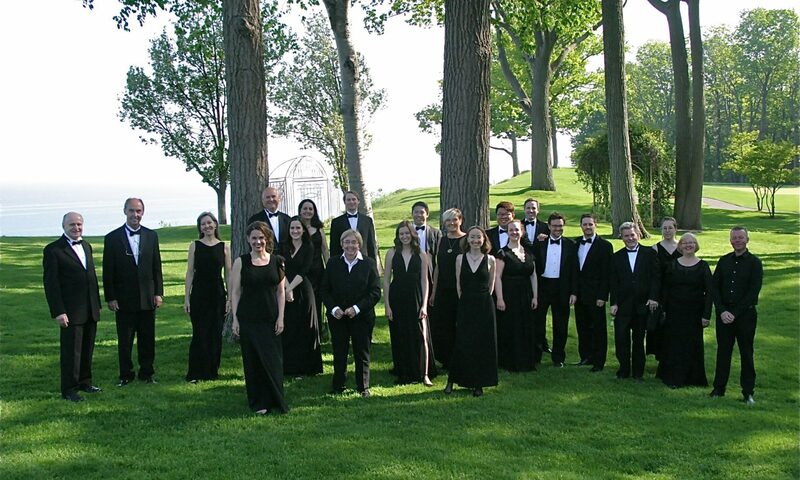 In addition to singing with Elmer Iseler Singers, he is featured regularly with the Nathaniel Dett Chorale, Univox, Humbercrest United Church, and All The King’s Voices. Baritone Michael Thomas, a native of Toronto, has been a member of the Elmer Iseler Singers since 1998. His powerful, emotive voice has been featured in performances as a soloist with numerous choirs in the Toronto area, most notably with the Amadeus Choir and the Elmer Iseler Singers. He was also the baritone soloist with the Toronto Symphony’s New Creations Festival in 2013 in the Canadian premiere of Vabeni: Ritual of Prehistoric Fossils of Man by Krystof Marayka. Michael is a music instructor for the Toronto District School Board and, since August 2006, has been Music Director at St. Andrew’s Presbyterian Church, Markham. Michael was selected to sing with Placido Domingo as a member of the Blackcreek Summer Music Festival Chorus. Paul Winkelmans joined the Singers at the start of their 2017/2018 season, having just received his Master of Music in Voice and Opera Performance from McGill University. At McGill he enjoyed performances as part of Opera McGill, as well as his involvement in Michael McMahon’s Song Interpretation class. He loves exploring and sharing both standard and unconventional repertoire, combining works by classical masters Schubert and Schumann with contemporary pieces in his programmed recitals, and even commissioning a new Canadian work to premiere for his fourth year undergraduate recital at the University of Manitoba.